But just a little (usual) notice before that: this preview is based on pre-release software, which may still be tuned and tweaked, names may change, et cetera. 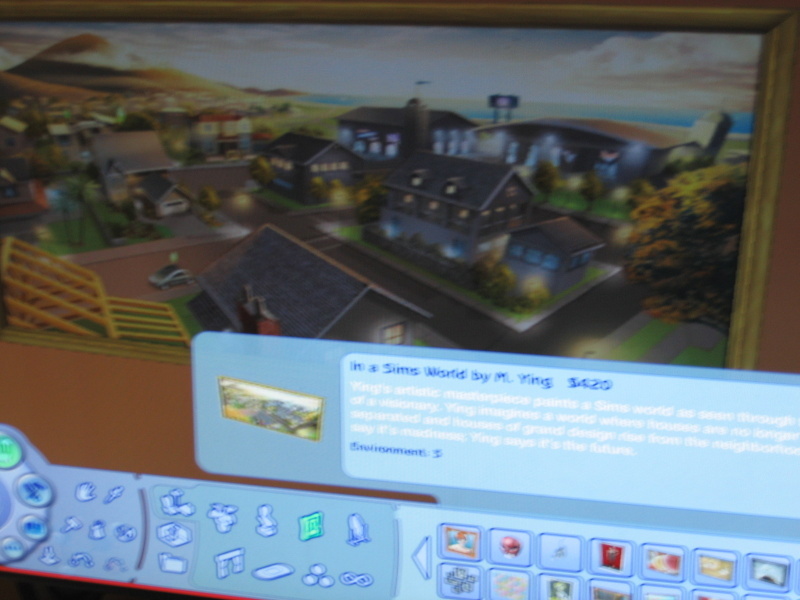 As the graphics shown are not actual screenshots, but pictures of screens, taken with a common camera. The result is that the pictures you see here do not compare with the graphics you will see on your screen when playing the game. Nevertheless this preview is as accurate as possible, and we hope you'll enjoy it. 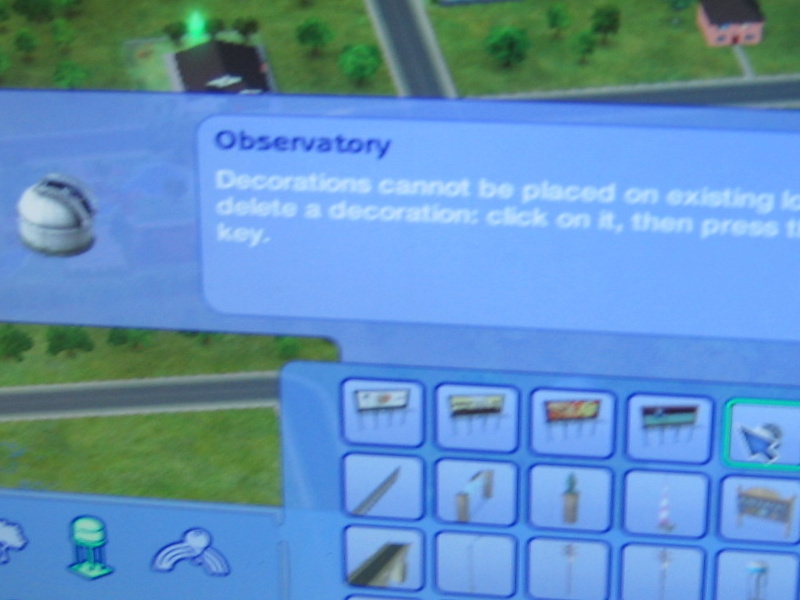 Every Sim can now have 10 hobbies, for which they build enthousiasm by practicing each hobby. 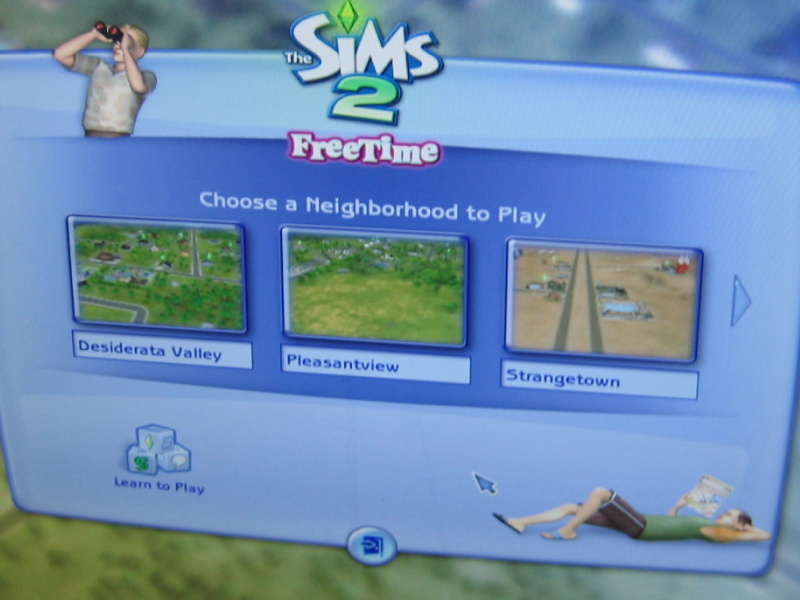 You may already find some Sims like that in the new neighborhood, Desiderata Valley. 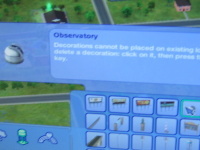 There is also one highlighted, or a Sim's designated hobby that appears in the new panel. The advantage of this hobby is just that building enthousiasm for it requires a little bit less effort. 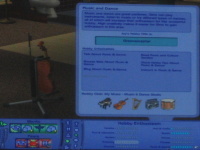 Of course the skills also influence the performance in a hobby, like the creativity skill influences the tones coming from the violin if your Sims plays it. But what are those ten hobbies? Art & Crafts, Cuisine, Film & Literature, Fitness, Games, Music & Dance, Nature, Science, Sports and Tinkering. Of course your Sims can practice all of those hobbies, not just one of them. 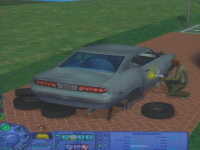 To increase a hobbie's enthousiasm for your Sim, all they need to do is picking the right object to play with. 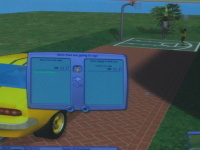 Sporty Sims can for example play some football or shoot some hoops, technical Sims can tinker on cars or any electronic device, building their mechanical skill on the way as well. 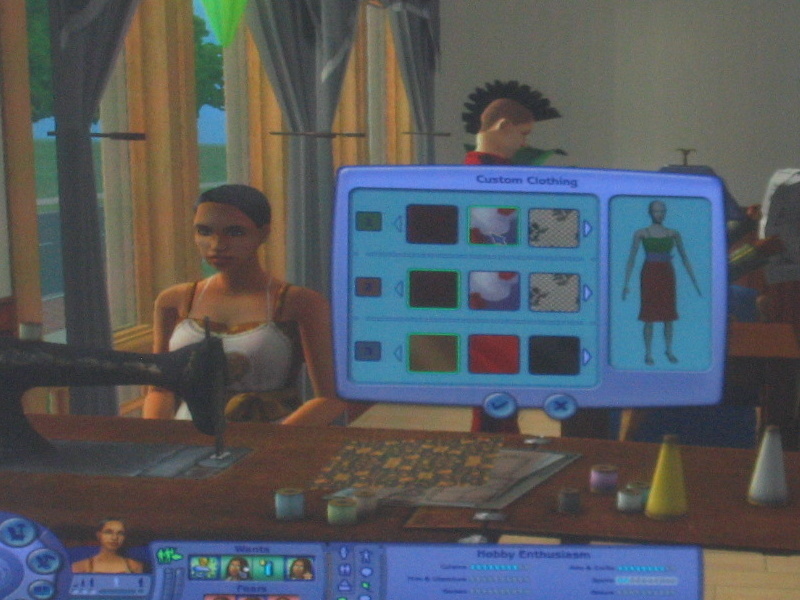 In some cases you probably won't even really have to reserve some special time for your hobby, it can easily fit in your Sims' daily lives. If you know the Sims, you know that it doesn't stop at just practicing hobbies using a bunch of new objects - there's a lot more. Building enthousiasm for a hobby unlocks new social interactions. Also, if your enthousiasm raises to a high enough level, your Sim may gain an access card to the secret lot for that hobby. 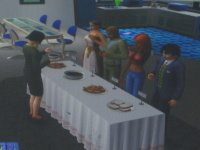 There is a lot for each hobby, and on each of those lots there usually are objects to practice its hobby and meet other Sims enthousiastic about the same thing. 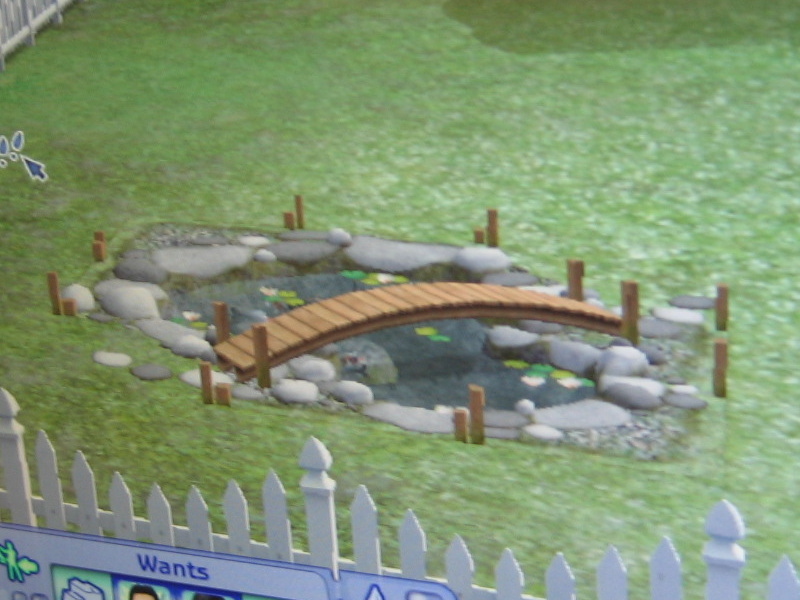 The nice thing is that these lots may contain expensive objects that your Sims may not be able to afford at home. Just one Sim in a household needs access to a lot. When that Sims goes to the lot, the entire family can join and move along. When you max out the enthousiasm for a hobby, something special happens when you practice it again. You will enter what EA calls "The Zone." 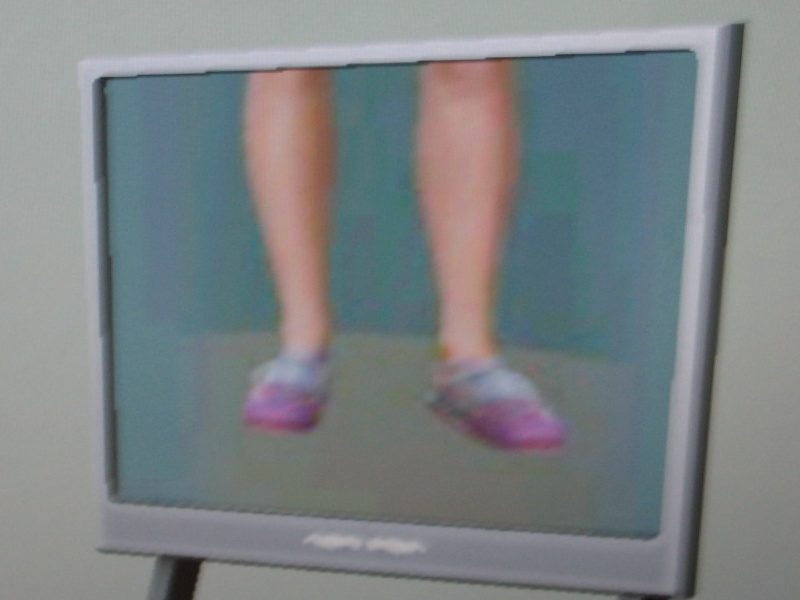 The Sim in question will start to shine white light, you hear an audio clip or tune depending on the hobby (applause for music & dance, for example), and the Sim's motives will stop decaying. New are also contests, like cooking or dance contests. They are held on a community lot, though you sometimes can prepare at home, e.g. by cooking your dish for the contest before actually moving to the community lot. When you enter the contest, some other Sims may join as competitor. There could be four in total, there could be eight, it all depends on the situation and environment. A judge will decide who has won the contest - burnt food won't do well, for example - and give away cash prizes. Of course, if you have Open for Business, you can also just sell whatever you create to other Sims - or just sell it back to the catalog - and earn a bit of money that way. 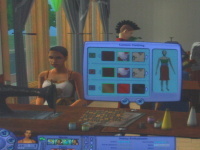 That option is especially useful for those work-at-home type of Sims. 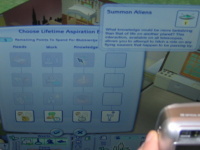 The game features plenty of objects to use in your Sims' free time. Think sewing machines, soccer goals, violins and basically anything else you'll need for your hobbies. 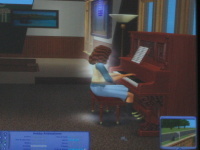 Objects from previous expansion packs, like the musical instruments from University, will also be upgraded so those objects will also build enthousiasm for the appropriate hobby. 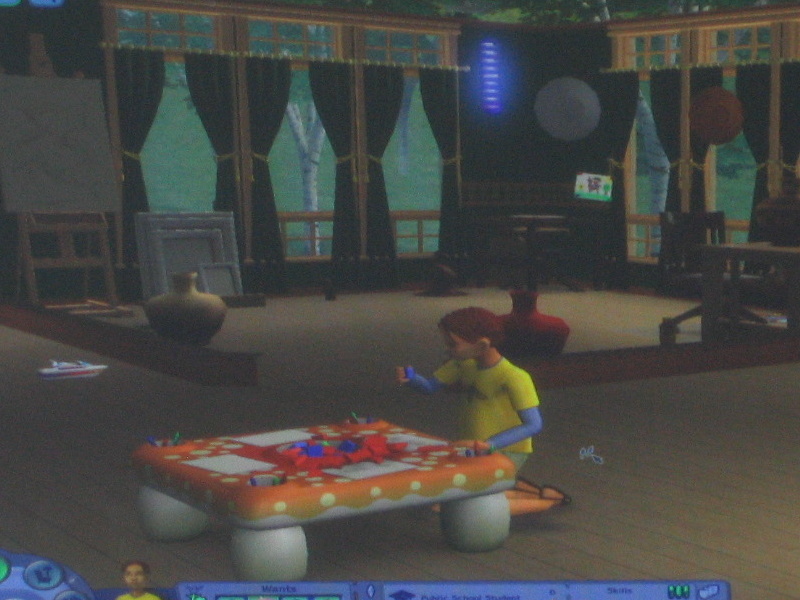 Besides that there will be new objects for toddlers and children, like the activity table. 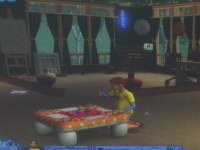 There are also new outfits for all ages, except for the elder Sims - they just get an additional clown's suit. Some of the hairdos may be recognised as being from Open for Business, and some outfits (like the soccer outfits) can already be downloaded from the exchange. Having said that, there is now an athletic clothing section for children which contains exactly those outfits. There is also a new outfit made by the finalist from the H&M Fashion Runway contest. Not only can your Sims wear that outfit, H&M will also be selling the outfit in their (real life) stores. 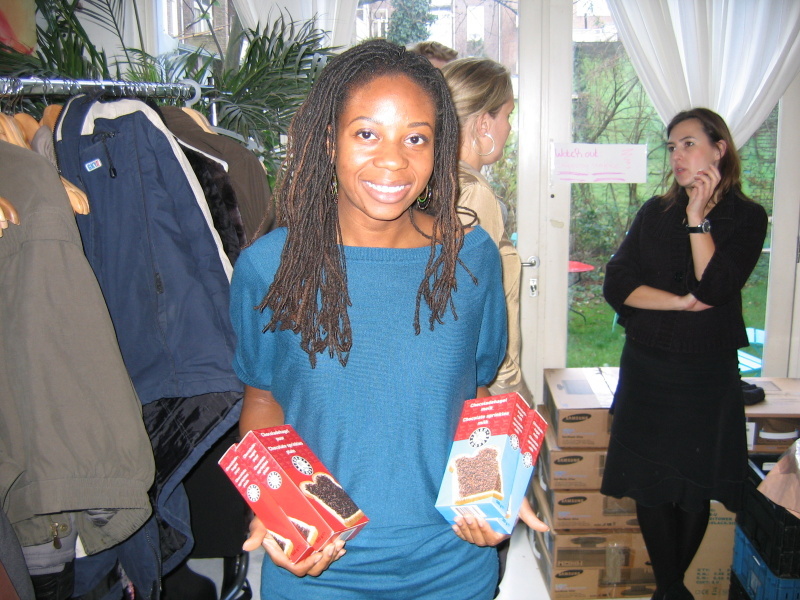 The sewing machine is a special object, in the sense that it lets you create custom outfits. You can pick some patterns and styles, put them together, and make a brand new outfit that way. Another special is the restorable car. Although cars from Nightlife are not included, you can download some from the Exchange, and with this car you get another one. 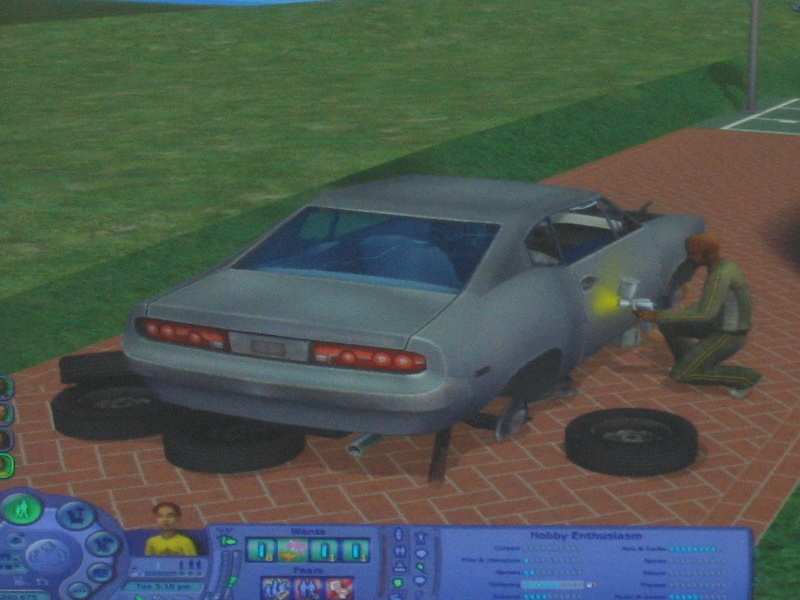 There's one catch though: your Sim will have to repair it before it'll vroom. Another object it the train table, which is customisable as well. 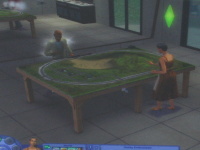 Sims can add towns, mountains, water and trees to the table, giving it its own look. Other gadgets include remote controllable helicopters, a DJ booth, a potters wheel, baseketball hoop, a new fitness machine, ballet mirrors, a moduler synthesizer, binoculars, new games (see below), new sets of appliances and much more. New careers have been introduced in University and Seasons before, and this time EA has created five more, each with its own rewards of course. Your Sims can now get a job in architecture (drafting table), dance (ballet barre), oceanography (koi pond), intelligence (audio augmenter) or entertainment ("Starstruck" star of fame). The skill set is still the same, though there are some new talent badges to be earned with various objects. As usual there are some neighborhood 'ploppables' as well. 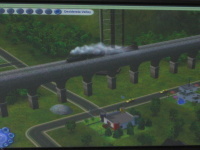 This pack comes with at least a railway track, with train, and an observatory. The train track is not taken from SimCity terrains, so putting railways down in SimCity 4 and importing that terrain won't do the trick. It's much more like the aquaduct: a huge straight block with some rail on it. New in the game is the lifetime aspiration meter. Contrary to the normal aspiration meter this one will not automatically decrease (or increase) towards a score of zero. Instead, fulfilling wants as well as certain special events (like getting married, having a baby) will give the meter a boost. Making fears come true will, naturally, decrease the score. The meter has some added bonuses. It's not just a meter though, as it can give you special benefits. Increasing its score will eventually give you some more lifetime benefit points. With these you can buy new benefits, similar to the perks in Open for Business. For each point you can buy a perk in the Needs, Work or one of the two aspiration columns. 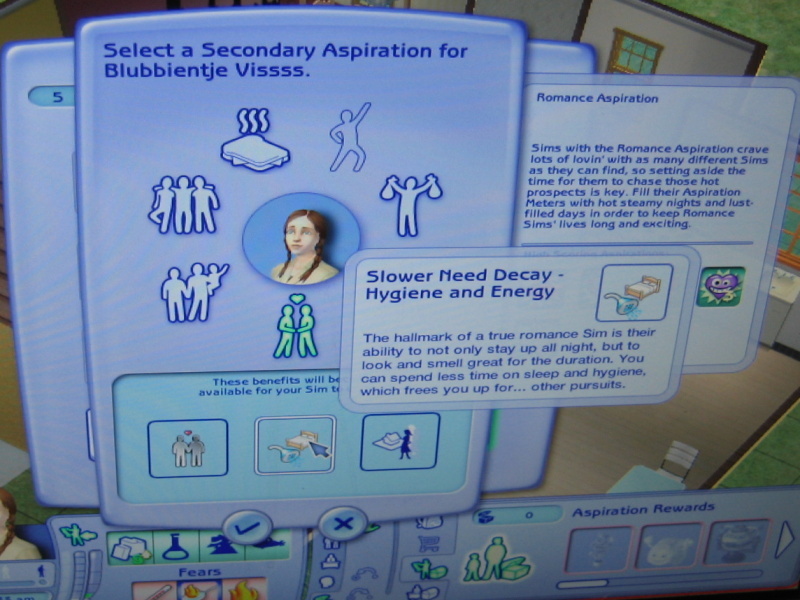 The first aspiration column is of the aspiration of your Sim, suggesting that the benefits are available only for teens and older Sims (although that has not been confirmed). 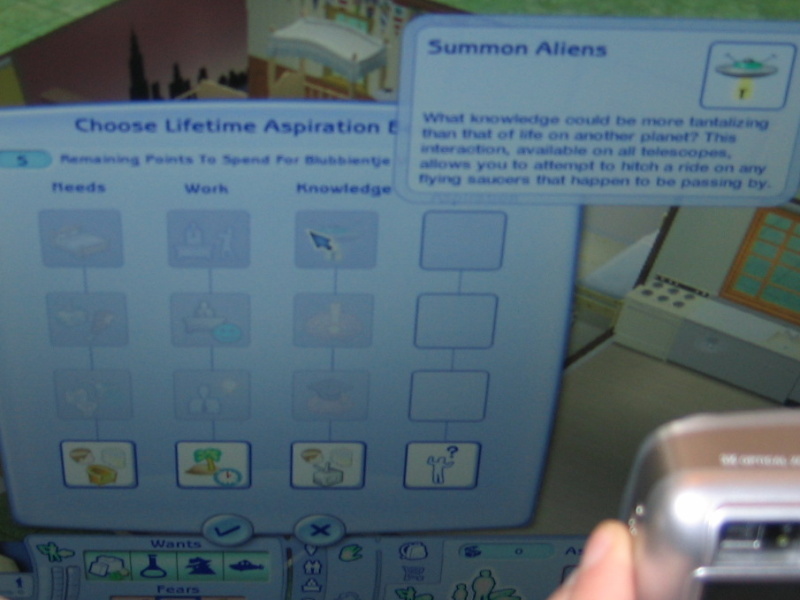 So if you're a knowledge Sim, you may be able to buy the "Summon Aliens" benefit. The other column is for a secondary aspiration track. The first benefit is one to actually make you pick one aspiration - including Pleasure if you have Nightlife, and also the Grilled Cheese aspiration (you don't need Nightlife for that). The latter has benefits like a bottomless stomach (your Sim won't grow fat), a bigger bladder or the ability to paint grilled cheese masterpieces. FreeTime also adds new power to you, the player. God (that would be you) now has more control over townies than ever before. Whenever one of your playable Sims gets older, you can also force up to three friends to age with that Sim. You don't have to, but you can. This allows you to age other Sims along with yours, so a teen relationship doesn't have to end when one half grows up to be an adult, for example. But true magical powers come from the genie in the bottle. The lamp, delivered by the gypsy, will have a genie in it. Summon him, and you can make a wish. Cash, for example. Keep in mind though, every time someone wishes for money, the amount in the bag will decrease, until you get nothing. Grandma also brings a special item in the game: her comfort cake will magically improve the comfort of the sim eating this new dish. 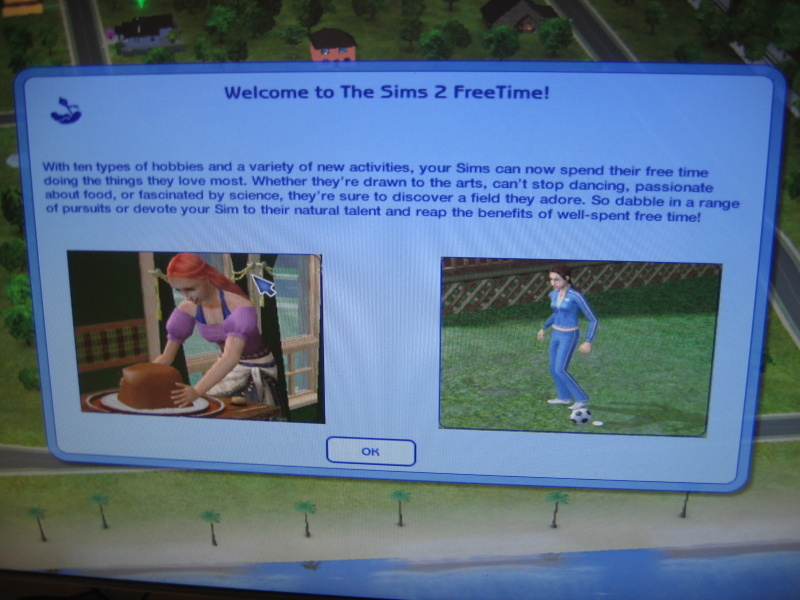 Altogether FreeTime is another nice addition to the Sims 2 family of expansion packs. It combines some features from previous expansions, specifically Nightlife and Open for Business, with a slightly different touch. The pack goes well beyond just hobbies, and although they form a major part of the gameplay, like Nightlife this is a pack that will perhaps be appreciated more for the little features and touches it adds to the game. It expands and improves bits of gameplay all over the game, making it hard to actually check everything out properly within the short time we had. It also recycles and improves plenty of objects and other things from previous expansion packs, and integrates very well with those others - except Pets. You won't find any dog shows or anything similar in this pack, it's Sims only. Pets also don't have hobbies. The secret lots are a nice novelty, but one that I assume will wear off and get old soon. As you will not be able to customise them (probably not easily anyway), there is little advantage in actually visiting those lots over any other community lot. The lifetime meter adds yet another meter to the interface, which can get confusing (you now have the normal aspiration meter, the lifetime aspiration meter, the influence meter, and don't forget about the regular mood bar as well, all pretty close to each other). The benefits are definitely a nice addition though, giving easier access to, for example, alien abduction. One other thing I haven't checked, but despite the many requests for it, I don't think Ctrl+S to save will make it in this expansion pack. 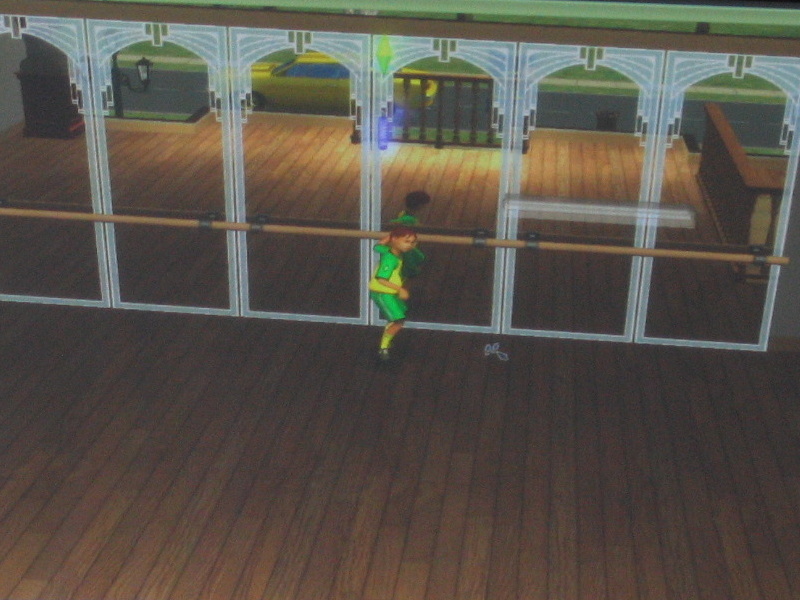 There are also no new features in build mode, just some wall and floor decorations. Unfortunately there was not enough time at all to properly check out large portions of the game. You may also find the amount of screens limited, partially for the same reason, partially because EA Netherlands has limited us to a mere 20 screens for this preview. There is probably a whole lot more to find out when the game is released at the end of next month. 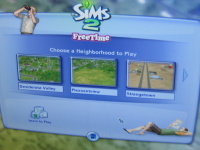 Whether FreeTime is the final expansion pack is unsure, and Bim was unwilling to give away any details. There is at least one more stuff pack coming, and with the hints towards the Sims 3 in this latest expansion we think (speculate!) 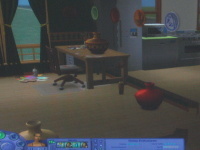 that we'll get to know more of the Sims 3 within a couple of months - perhaps even weeks. That still leaves room for another expansion though, given that, as Bim said, "The Sims will go on as long as fans want [EA] to make more." EA might end this second series of Sims games with a stuff pack, they may also have one final expansion pack in store for us, just like The Sims 2 was announced well before Makin' Magic was released in 2003. It's all speculation though, and time will tell what EA has in store for Sims fans in the future. 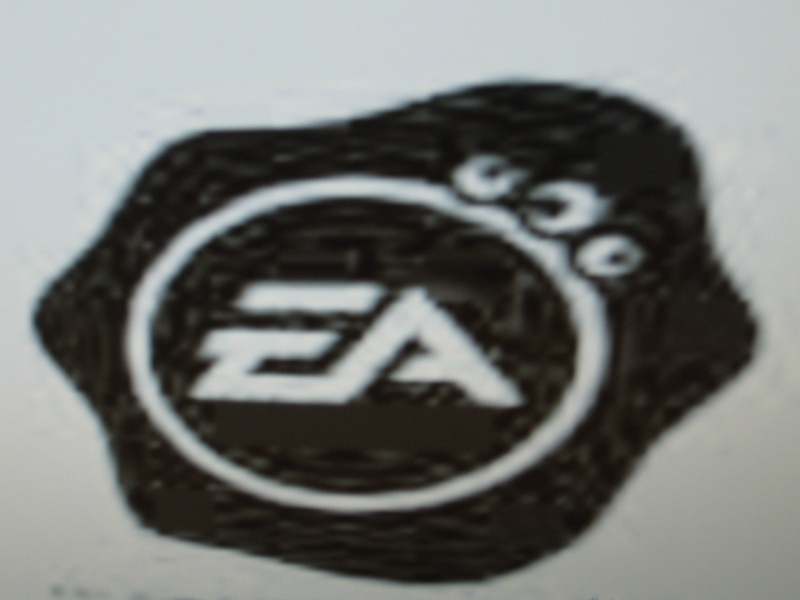 Thanks to EA (especially Anita and Bim) for organising the event, Rosana for just being lovely ;-) and all the other fansite webmasters and other fans who made the day an enjoyable experience. Make sure you also check out the official product page for hobby magazines, comic strips and more official information. Written at 21:01 on Friday 25 January 2008 by ChEeTaH.